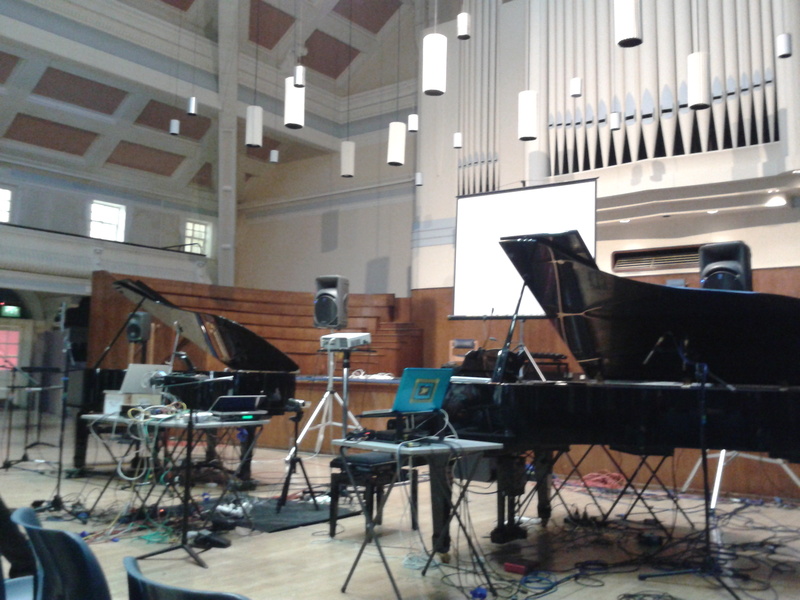 Shackle performed Robert van Heumen’s piece The Sound of the Machine at the Interactive Keyboard Symposium at Goldsmith’s College in London last Sunday. This piece uses a disklavier and I was using a new firewire audio device. We were both pleased and relieved that all the hardware and software worked. The added benefit was that we had a great time performing the piece.